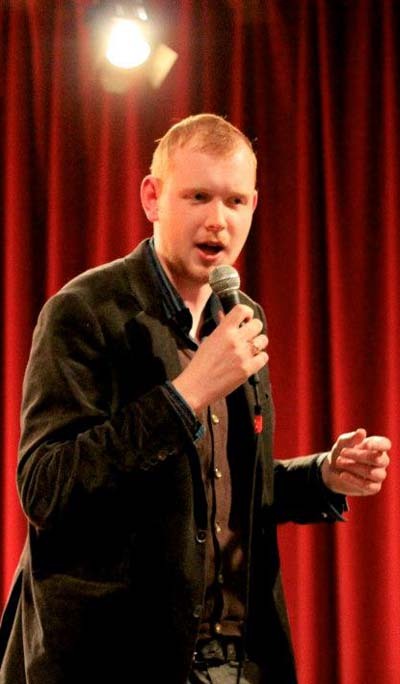 Charlie is a stand up comedian and presenter from County Mayo Ireland. He is becoming one of the rising acts on the British comedy circuit. Charlie is also the resident MC at the well received Comedy Den located in the heart of Cardiff. Charlie's energetic, funny and fast humored story telling always gets a great reaction from the audience. He can relate great with to both an Irish and British audiences. Charlie brings his first solo show, Too Tall for the Ride to the Edinburgh Fringe Festival as well as various venues around the UK. Join Ireland's tallest comedian as he unravels the world through his unique point of view, and discusses his growing battle against the conventions of everyday life in an absurd way. Born and bred in the West of Ireland, where Botox is produced by the truckload and where reality is unimportant. So join Charlie for an hour of hilarious stand-up along with a handful of surreal devilment. ... As well as a wide variety of Charity nights, corporate events, private events and open mic nights.